i am in 5th grade we are now learning about ecosystems and i think this might help us. we are now at the very begginnig and we have to draw a picture of an ecosystem. HOW AM I SUPPOSED TO DO THAT!?! I'm in fith garde and we are learining about ecosystems and the is helps me becuse it comes in handy! ITS NICE! i learned something from the picture I'm in 6th grade and i love science! this is really helpful. 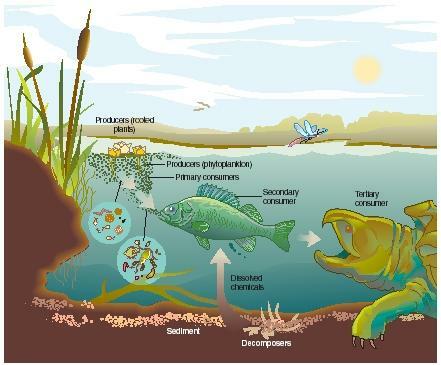 ha im in the 8th grade and we have to draw and ecosystem and im using this picture. hi!im in 6th grade and we are supposed to do a ecosystem project and this answered all of my questions!!!THANKS! im now in grade 6th graduating next year..im here in philippines.....ecosystem here in this column has a great explanation! !keep it up!! i forgot my science book at school and i'm trying to find some information but thanks anyway! i'm in 5th grade and i'm learning about ecosystems.this helps me learn alot more about it.it's so COOL! hey im in 7th grade and its really hand thanks alot. wow its perfect for my ecosystem project its really hard though! what is the common term of economy system for water ecosystem. I love this! This helped me with my Science project and I got an A!. Next time that I have a Science project I am going here again.! YOU ROCK! Does anyone know where I can find an example of a project over levels of classification? Hi my teacher has asked to get a riddle on ecosystems. Please could you help me on this? Please my teacher had asked me a question on this topic, so you will help me and make an example and some definition for me. Thanks I'm cool and say bye. well. it is astonishing. I'm sure the pupils will like this topic. Wow it is so nice. I really like it. Keep your good ideas. Hey!! !I'm so lucky i came to this website cause this paper was due tomorrow in my 4a class so thank you so much!!! hi im in 7th grade what grade is this for cause I see some grade 5 and grade 6 and some grade 7!